The Resident Tourist: Claire Flowers Heels . . . The first time I lived in New York I was working at Conde Nast, where I thought it was tres importante to wear heels to work everyday. Being a junior in college I didn't own proper work shoes, so I'd wear my nicest heels (which I usually reserved for dinners or nights out) all day long. When 6pm rolled around, I'd be ready to chop off my own feet. Oh, and by the way, I also thought it was way more chic to wear my heels out of the apartment (like I'd seen in movies, ahem The Devil Wears Prada), instead of wearing flats and changing into heels at my desk. Bottom line, I'd be riding the subway and hobbling to and from the office in high heels that weren't really meant for walking. 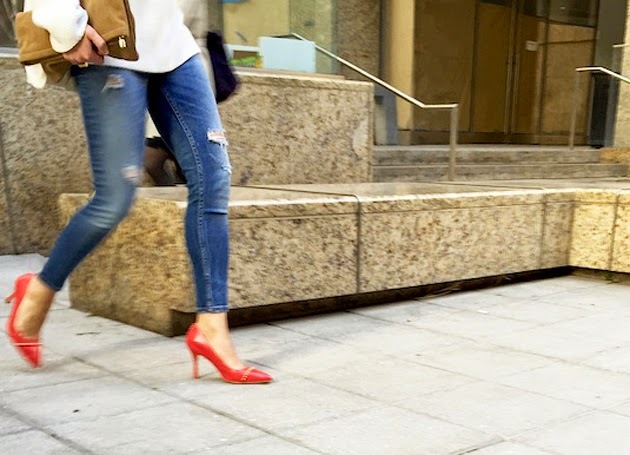 Since then I've become much more sensible in my office footwear choices, but I'm still always on the hunt for a great looking pair of heels that are comfortable enough to wear all day. When I learned about Claire Flowers and her newly launched shoe line, I was immediately reminded of my Conde Nast days. Claire Flowers shoes combine the style and luxury of handmade heels, with the comfort and functionality of work shoes. Plus they're ideal for city girls, since they're designed to not slip on slick surfaces or get stuck in street grates. 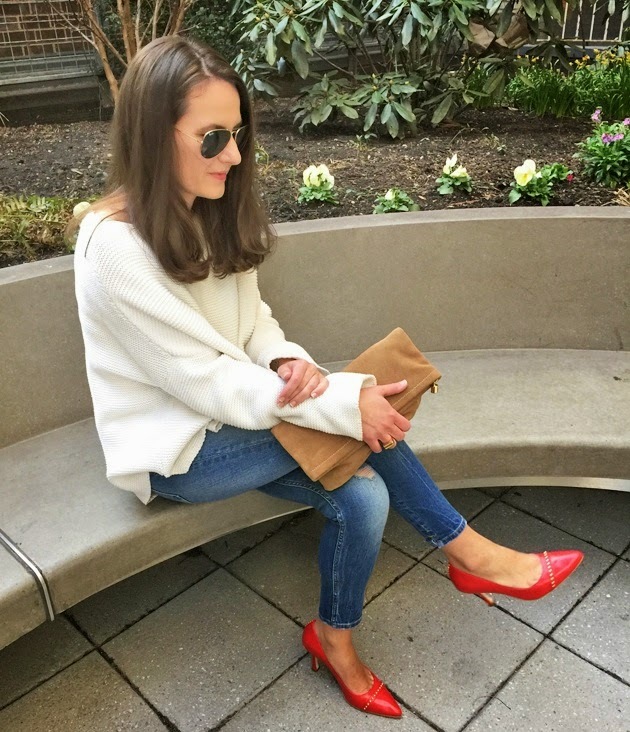 I ran around NYC wearing The Karen style, and I have to say they were exceptionally easy to walk in. If you're looking for a sturdy & stylish pair of heels to accommodate your work and/or city life, I suggest you check out Claire Flowers Spring/Summer 2015 Collection, sold at select boutiques and online. Happy hump day, thanks for reading! This post is brought to you by Claire Flowers.